In 2016, Artix Entertainment went to Kickstarter to raise money for their cross-platform MMORPG, AdventureQuest 3D. The studio had always prided itself on remaining 100% independent and maintaining complete creative control over their projects. So, when they decided to reimagine their 2D flash game as a robust MMORPG, they didn’t want to start relying on investors for funding. Instead, with the help of nearly 5K backers they were able to exceed their $200,000 campaign goal to bring AdventureQuest 3D to life. Suffice to say, the game’s massive online fantasy world wouldn’t be what it is today if not for the early support Artix received on Kickstarter. As such, in a recent update the developers have unveiled a new location created specifically to honor their backers, the Founder’s Sanctuary. The new sanctuary’s primary purpose is to provide backers with a centralized location to obtain their Kickstarter rewards. Previously, it had been a bit of a scavenger hunt to locate the appropriate shops and NPCs for each item. Honestly, it’s pretty neat to see backers recognized within the game world they helped create. 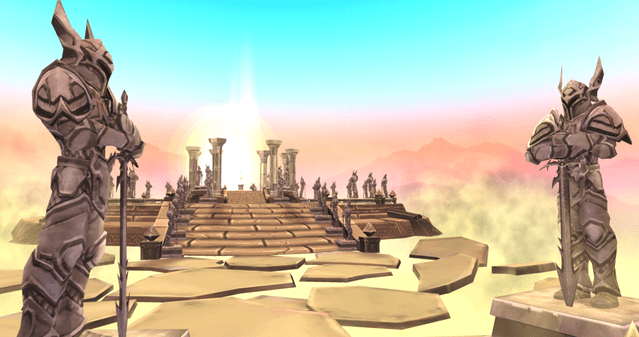 Currently there are no monsters or quests located within the sanctuary so players can go there to rest safely. Artix has hinted that this could change down the line. 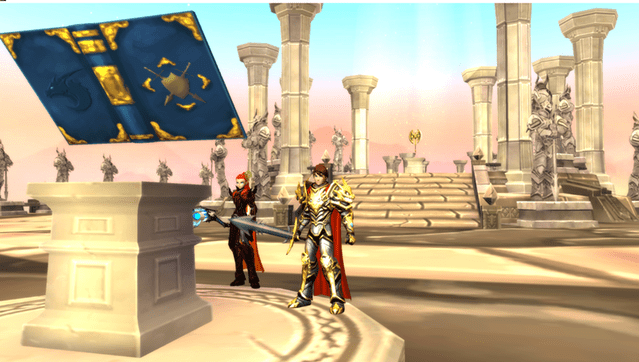 In the meantime, Founders Sanctuary serves as a monument to the AdventureQuest 3D community. One which future players will explore as part of the world’s history. AdventureQuest 3D is scheduled to move out of early access on October 13th 2017. Talking to Melodia in Yulgar’s Inn will teleport open beta players directly to the sanctuary. This will also allow them to collect their beta rewards. Previous articleIs Battletech’s Paradox Partnership a Harebrained Scheme?